The lede: Middle-class income rose to a record level in 2017 as the strong economy lifted the fortunes of more Americans, the U.S. Census reported Wednesday. The median U.S. household earned $61,372 last year, meaning half of the families in the country brought in more income than this and half earned less. 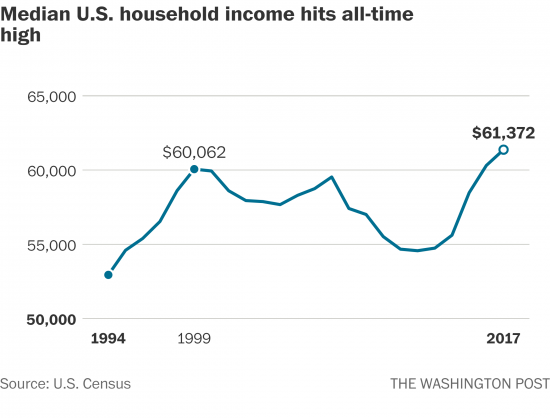 Crossing the $61,000 mark was important as it signals the American middle-class is finally earning more than it did in 1999.